Congratulations, Julia! 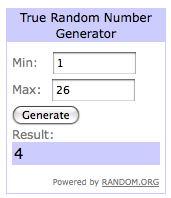 You have won the 1-for-1 ticket to go on the Singapore Flyer in March, as well as a pack of auspicious ang pows! I will contact you about prize collection. Thank you all who participated in this little draw from the Singapore Flyer lo-hei post. Huat huat hurray! YAY!!! Thank you so much! :D Huat huat hurray to everyone too!